SALVE International is a charity based in Jinja, Uganda, that aims to give young people on the streets the opportunity to resettle in a loving home and to access education. SALVE’s current centre has limited space which puts stress on the team and limits the number of children that can be accommodated. 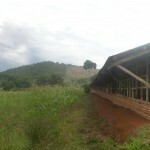 The charity recently purchased a piece of land in order to expand their operations. 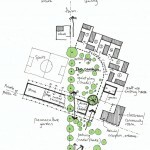 We were asked to develop a briefing document to act as a blueprint for a local architect to develop a detailed design. Following an in depth analysis of the existing site a number of issues were identified that needed to be resolved. These include overcrowding, a lack of ownership of sleeping spaces, no quiet spaces to read, think and to have private meetings and a lack of outdoor playing areas. The main social space, used for eating, socializing, learning and playing, was identified as crucial to the charities work acting as a family hub and centre of activities that needed to be recaptured in the new centre. The Gatehouse: a welcoming and informal entrance to the site but identifiable as a checkpoint and base for security guards. 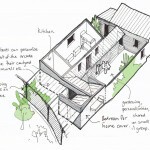 Breaking Through: re-use of an existing chicken shed to develop a series of ‘outdoor rooms’ for socializing, film screening, festivities and spontaneous social activities. 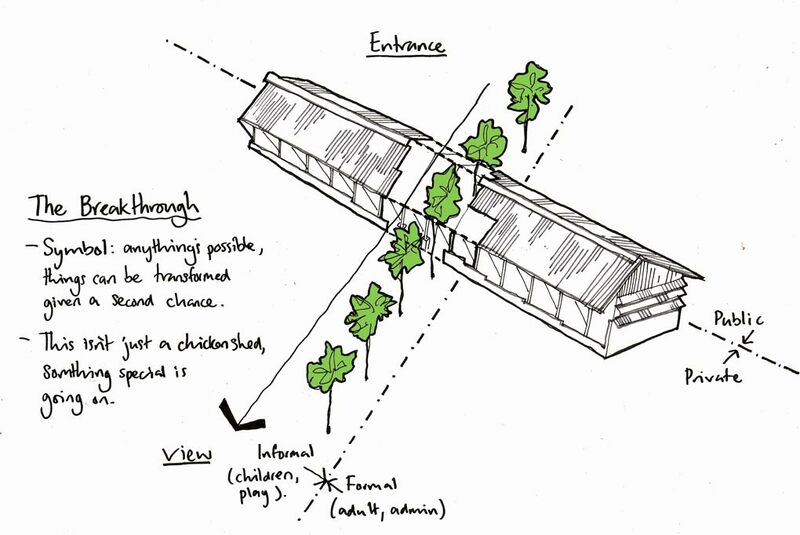 The Common: a shared outdoor space with shade at the centre of the site acting as a meeting place and informal play area. The Big Tree: an existing tree in the chicken shed to be protected and turned into a central focus point to meet under, climb, hang lights from as a symbol of longevity, continuity and strength. Teaching and Community hub: a prominent and central building clearly visible to visitors coming into the centre housing classrooms, a library, reception and administrative offices. The Canteen: enabling the community to cook and eat together as one large group. Courtyard Dwellings: Dwelling blocks for staff and children arranged around courtyards to create a buffer between common areas of the complex and bedrooms. The courtyard is a shared space for those who live directly off it and is intended to promote a sense of ownership and provide an area for personalisation.